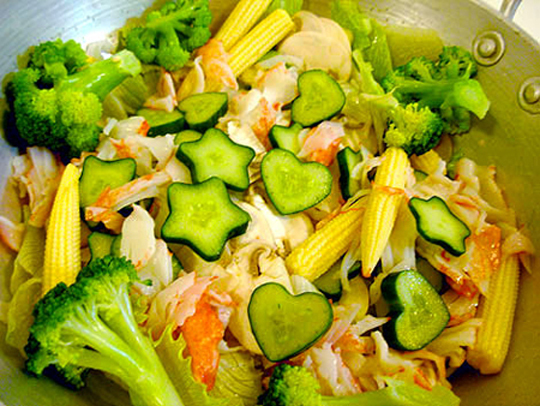 Only in Japan can you find heart and star-shaped cucumbers, unless you grow your own. Globalisation is making it harder and harder to find anything really new and different – all around the world you see the same items for sale. Thankfully Japan continues to be the source of many products that are truly different – some are genius, some whacky, others examples of Japan’s unique aesthetics. Just take a look at this eclectic smorgasbord and you’ll see what I mean. 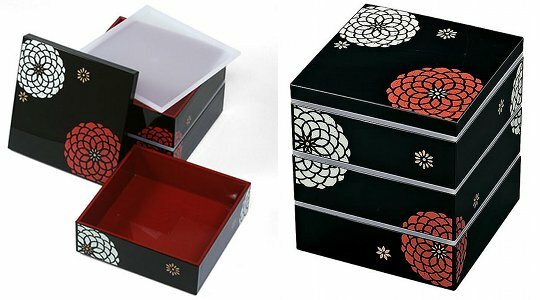 Japan is famous for blending the traditional with the modern, and no where is that more obvious than with these elegant gold leaf and lacquerware USB memory sticks. 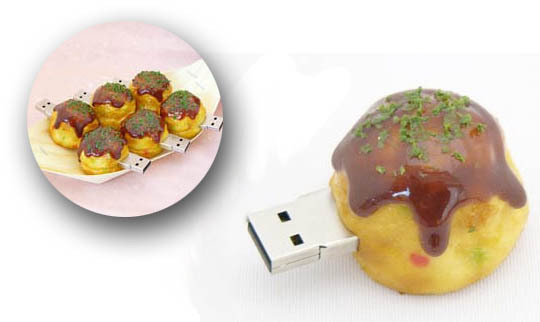 Besides elegance and style, the Japanese also place a lot of importance on food and eating – so perhaps it’s only natural to make USB sticks look like one of Japan’s favourite snacks – takoyaki (octopus balls). 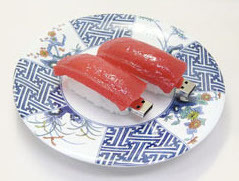 No, that’s not computerized rice, it’s more USB sticks designed to look appetizing. 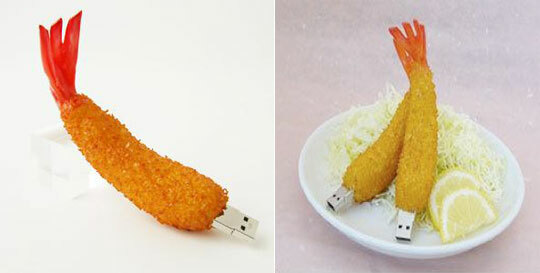 And so is this – USB battered squid this time. How do the Japanese manage to be so thin when so much tasty temptation everywhere? If you’re a fan of Japanese fashion, here’s an easy way to complete your outfit and really look the part – these male and female wigs are styled in line with a range of subcultures, so you could be a carefree Shibuya girl one day, and a serious mature Ginza type the next. Nothing symbolises Japan’s love of natural beauty more than cherry blossoms. Every spring people talk about when they are going to bloom, and then celebrate with hanami (‘flower watching’) parties. If there are no cherry trees near where you live, or you just can’t wait till spring, you can make your very own tree bloom right at home, using a magic sakura kit. No you can’t eat it, whatever it may look like. Japan is very proud of the Pot Noodle, one of its more recent culinary innovations, in fact so proud that they’ve used it as a disguise for this humidifier. 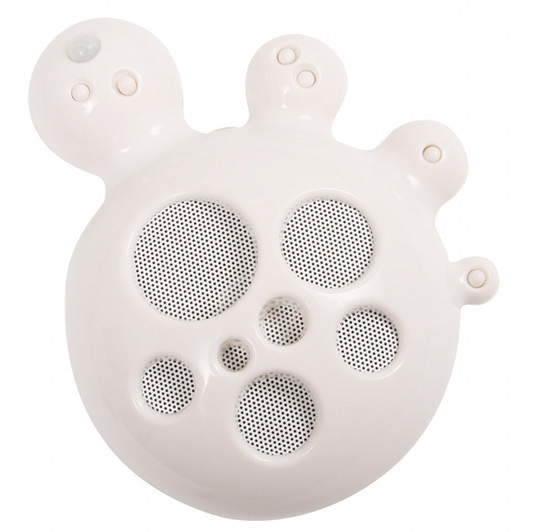 Designed to prevent colds and flus that can arise from dry winter air, you just fill it up with water, plug it into the USB port of your computer, and sit back and enjoy the healthy moisture-laden air. There’s no need for your dog to go naked, or to look daggy or drab, if you buy them one of these luxury T-shirts! 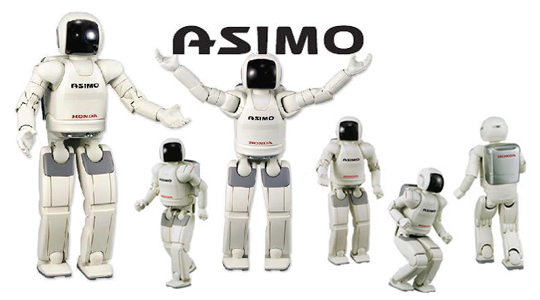 Honda created the ASIMO robot as a symbol of their technological prowess: He can walk and run, understand human speech and gestures, and even shake your hand. Chances are that you can’t afford the original, but this 1/8 scale model certainly captures the look and feel of the original. 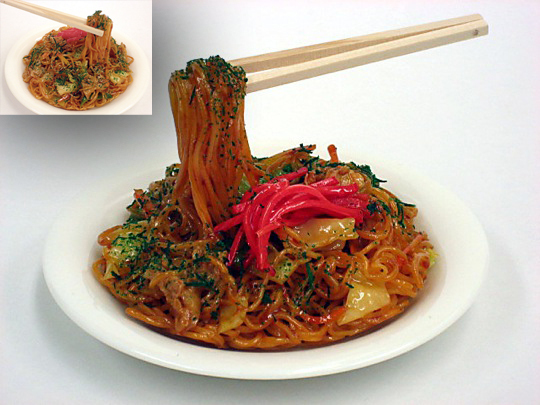 Every time you walk into a shop or a restaurant in Japan, you’ll be greeted by the staff shouting ‘irasshaimase’. Now you can create this same effect at home with this device that automatically responds every time you enter your house. Great for anyone who wants to revive memories of their time in Japan. 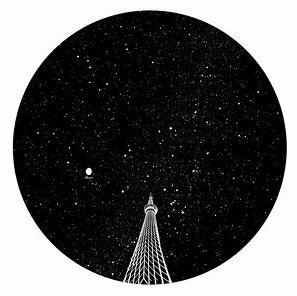 One thing you’re not likely to see in Tokyo is stars – there’s far too much light pollution for that. This home planetarium solves that problem by projecting the stars you can’t see on the ceiling, along with a view of Tokyo’s new icon – the Sky Tree. It’s even waterproof so you can enjoy some galactic beauty while soaking in the bath. If you’ve been to Japan, you probably travelled on the shinkansen (bullet train) network at some point. Well, how about remembering those journeys by eating your meals using chopsticks in the shape of the Nozomi – the fastest out of all the bullet trains. If you’re a really big fan of shinkansen, why not recreate the system in your living room using this electric train set? It has neither the impressive size nor the speed of the original, but is otherwise an almost perfect replica. Japan’s rail network is very well organised, and the signs at each station give not only its name, but also tell you the name of the next station along in each direction. 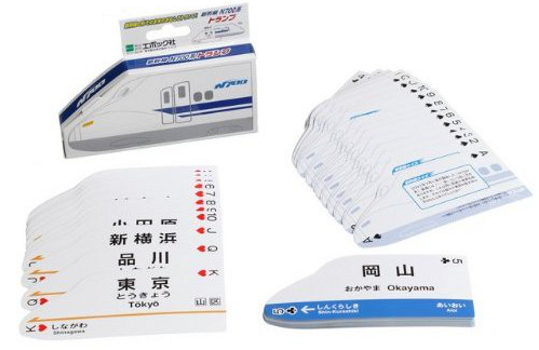 These playing cards are shaped like shinkansen, and replicate signs from shinkansen stations, so once you’ve played with them for a bit, you should be able to find your way about all over Japan without needing to look at a map. Would you prefer to spend your weekday mornings speeding across Japan on a shinkansen rather than getting up and going to work? 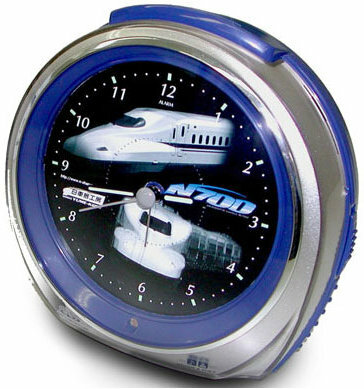 If so, this alarm clock can wake you up with melodies and announcements just like those on the shinkansen, and so might help you to imagine being on holiday in Japan. What better way to feel like a true samurai than to wear their armour next to your skin? This underwear reproduces the decorative patterns from the armour of some of Japan’s most legendary samurai. Breaking stereotypes of women in ancient Japan, Tsuruhime was an archer who went into battle besides her husband and brother. She even defeated a male samurai in a duel when she was sixteen. This Tsuruhime camisole set will let you take her spirit with you everywhere you go. If you want to understand the way of the warrior, could there be a better way than eating your meals with these samurai sword chopsticks? Surely even the legendary samurai of ancient Japan must have got bits of food stuck in their teeth? 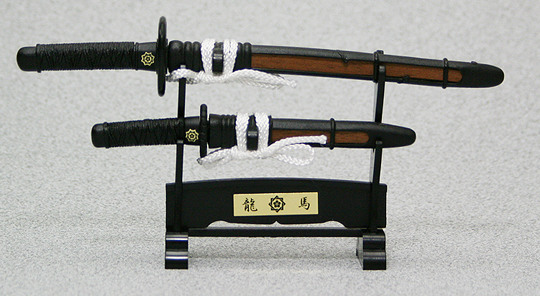 These samurai sword toothpick holders would have been the perfect solution. There aren’t many things you can do with samurai swords nowadays that won’t get you arrested and sent to jail, so the best chance most of us have of wielding a pair of swords is going to be opening mail with this samurai sword letter opening set. Quite why you need two swords to open your post, I’m not quite sure. This lunch box could make you the envy of your office. While your colleagues are eating sandwiches wrapped in cellophane, you can produce the meal you brought from home, which is bound to taste better having been stored in such a stylish container. Three tiers high, so you can store three different dishes, this lacquerware lunchbox is ideal for picnics in the park. This lunchbox set may not be traditionally Japanese in terms of materials or manufacture, but the simple floral design will remind you of Japan no matter what kind of food you put inside. Tokyo is a city that depends on its train network like no other, so you’re not likely to get far without travelling on the full-sized version of one of these models. Whether you want to pretend you’re a train driver, or you’d just like to bring back some Tokyo memories, what could be better than driving one of these realistic remote control models of trains from the Chuo, Yamanote and Keihin-Tohoku lines? 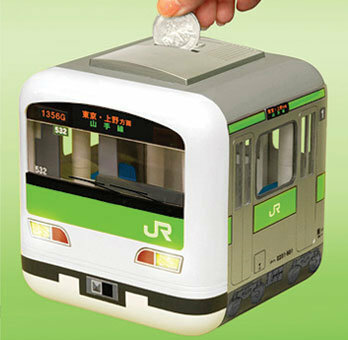 This money-box would be perfect for saving up for a trip to Tokyo. It’s a model of the cab of a JR Yamanote line train, and the display on the front tells us that’s it’s heading anti-clockwise around the circular line, towards first Tokyo Station (東京) and then Ueno (上野). Japanese people seem to spend as much time sleeping on trains as they do in their own beds, so how do they manage to wake up in time for their stop? Well, one thing that helps is that every station plays a different tune to signal when the doors are closing, so you can keep track of where you are even with your eyes shut. 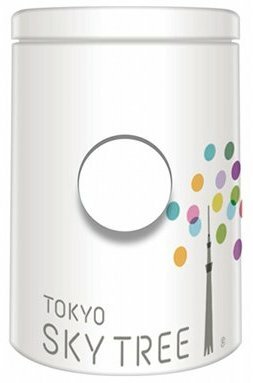 This gadget allows you to recreate some of the soundscape of Tokyo by playing five of the jingles from Tokyo’s Yamanote line. 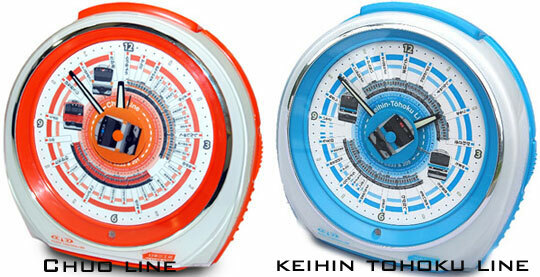 No matter where you are in the world, you can wake up to the sounds of Tokyo with one of these alarm clocks. They feature the jingles from stations on either the Chuo line or the Keihin Tohoku line, two of Tokyo’s busiest train lines. 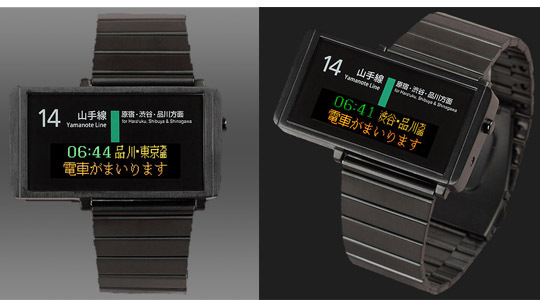 For true fans of Japan’s rail system, this watch reproduces the departure signs from Tokyo’s Yamanote line. With this on your wrist, you’ll stay in touch with Tokyo life no matter where you are. For many visitors to Japan, food is one of the biggest attractions, and also one of the hardest things to live without when you return home. 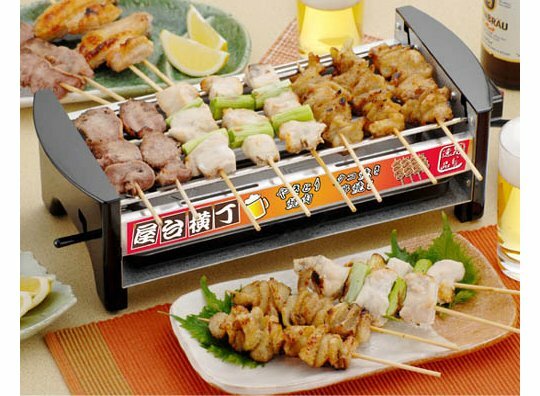 If like me yakitori (barbecued chicken) is one of your favourites, this electric grill might be just what you need. You might be able to buy noodles where you live, but probably not soba (buckwheat noodles). Even if you can get them, they won’t be anywhere near as fresh as if you make your own with this handy soba-making machine. 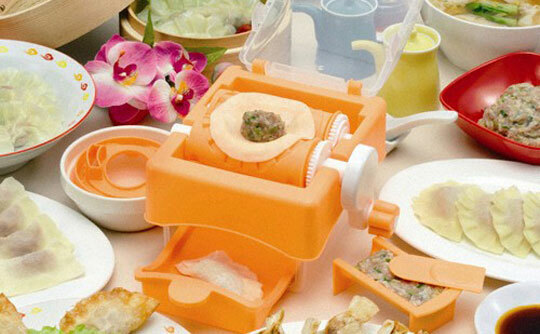 Another product for fans of takoyaki octopus balls – this time a machine for making them. It even automatically rotates them so they cook evenly all over. OK gyoza (dumplings) are really Chinese, but they’re popular all over Japan, and with this machine, it’s really easy to make your own. 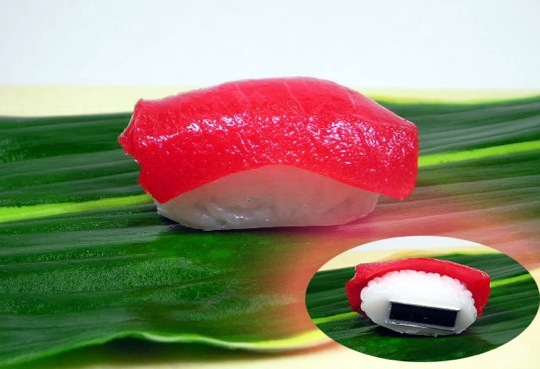 Have you ever tried making your own sushi – the hardest bit is getting the rolls to come out nice and neat when making makizushi – but this rolling machine solves that problem. If there’s a food I miss more than any other since I left Japan, it’s mochi (rice cakes). I’m seriously thinking about sending off for this device so I can make my own just by turning the handle. Ryoma Sakamoto was one of the most famous samurai of all time, and played a key role in the overthrow of the Tokugawa shogunate. Now you can both honour his memory, and stay dry, with one of these umbrellas that feature symbols of his life, as well as samurai sword handles. Ninja’s were masters of the art of moving stealthily and striking suddenly, but even they must have needed some way to keep dry when it rained. This collapsible umbrella (with a handle like that of a ninja’s dagger) can be concealed about your person, then brought forth in time of need. 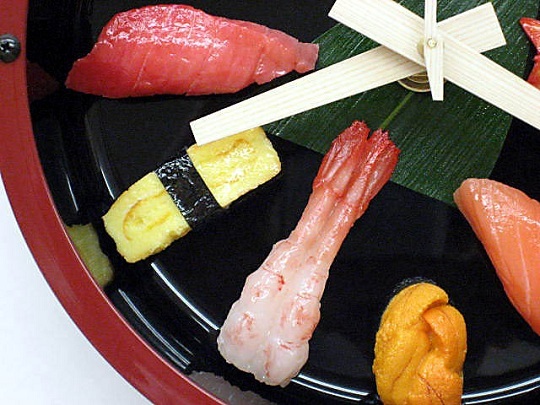 Where I live it’s a bit hard to find good quality sushi, so I could do with this clock to remind me of all the flavours that I’m missing. 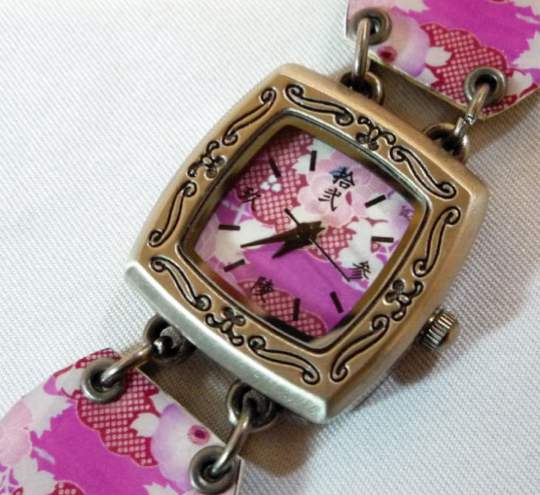 With this floral watch you could take a bit of Japan with you everywhere you go. 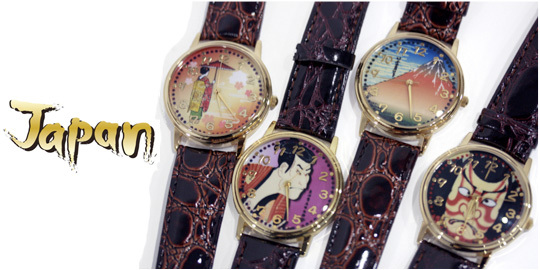 These watches cover a wide range of traditional Japanese themes: maiko, kabuki, Mount Fuji and even a demon. 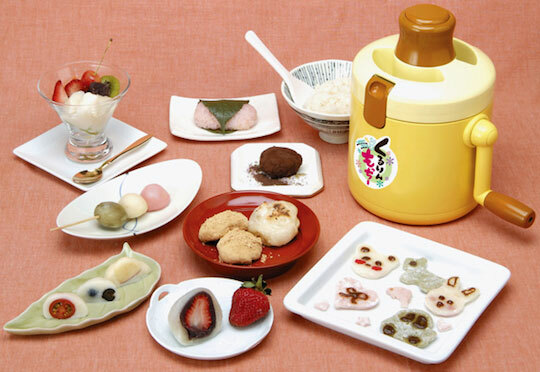 Food is very important in Japan – the Japanese seem to put a lot more importance on culinary experiences than do people where I come from, so it’s perhaps not surprising that they have plenty of food-themed toys and games. 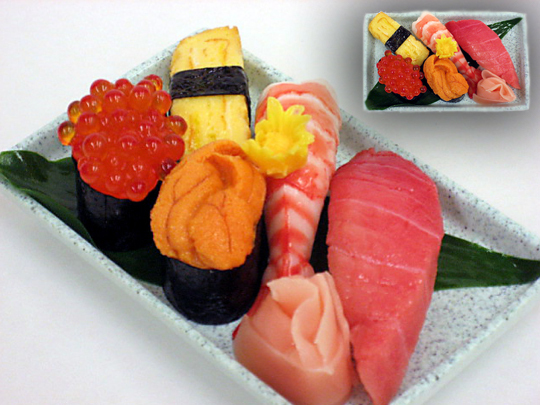 This game features 50 pieces of regular sushi – and the aim is to get as many of them for yourself as possible. This game combines two Japanese icons at once: bullet trains and sushi – so if you’re a fan of both playing it should be like being in heaven. 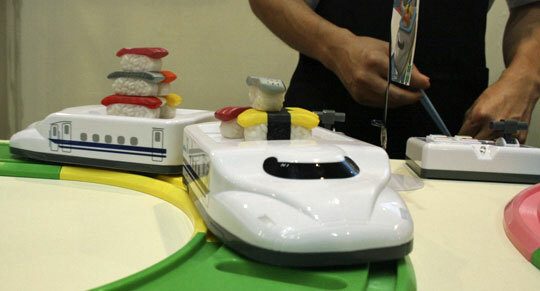 Can you grab the sushi from the top of the moving train using chopsticks? 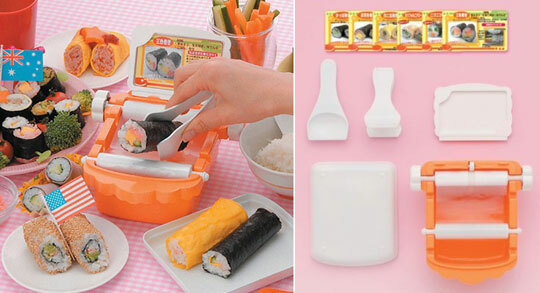 Or if you prefer, you can use real sushi for an in-home version of conveyor belt sushi. How good are you with chopsticks? If you don’t want to go hungry when you’re in Japan, it might be a good idea to get some practice in first – and this game would be just perfect. If you can pick up the tiny beans, not only will you win the game, you’ll also be able to dine out in Japan without having to ask for a fork. You probably know a bit about Japanese food from eating at restaurants, but do you know anything about ordinary home-cooked meals? 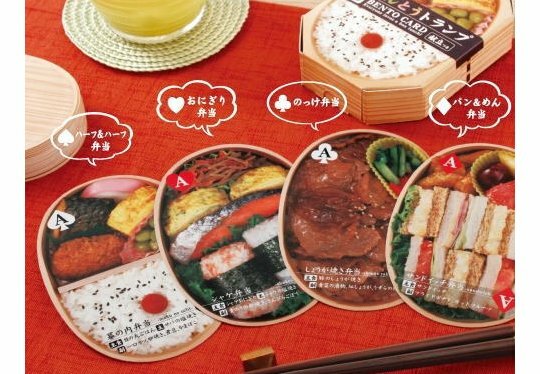 This pack of playing cards shows you 54 different boxed lunches – so you can get a much better idea of what typical Japanese people really eat. Yes I know. 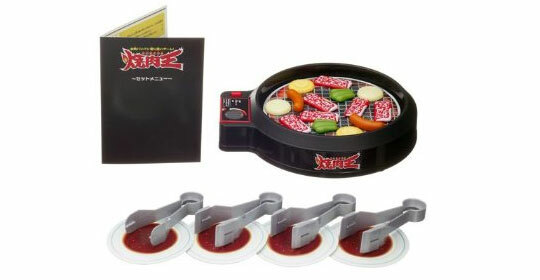 Yakiniku is really Korean, but there are yakiniku restaurants all over Japan, and they are both so much fun (you cook your own food on a charcoal barbecue), and so delicious, that I just had to include this game. Just like with real yakiniku, the point is to get as much tasty meat for yourself – but this time you don’t have to pretend to be polite and to share fairly. Edamame (soybeans) are one of my favourite Japanese foods – so what could make a better decoration for a mobile phone than replica pods? Just a word of advice for those readers who haven’t yet tried edamame: don’t try to eat the pods. I did that first time, much to the amusement of my fellow diners. 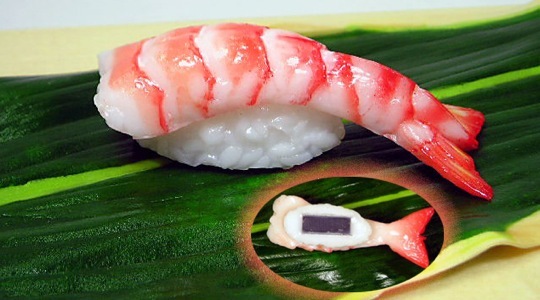 I know it looks realistic, but I can assure you it’s really plastic, so this shrimp will last a lot longer than a real one. If you prefer tuna, you might want to go for this one. They’re both really good for attaching notices to fridges. 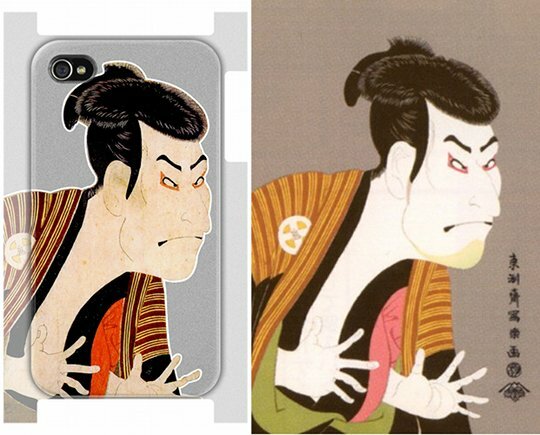 Toshusai Sharaku’s picture of a kabuki actor pre-dates the iPhone by more than 200 years, but if you’ve got no qualms about mixing old and new together, one of these protective cases might be just the thing for you. 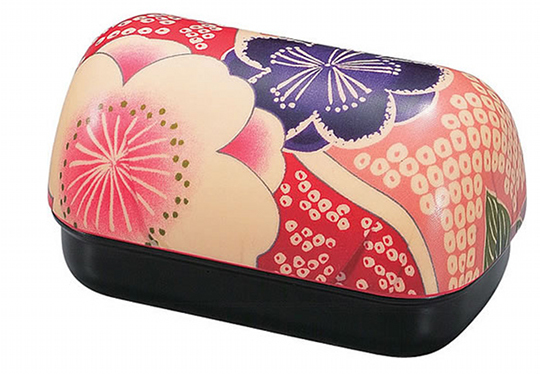 Or how about a soft case with a traditional floral design, or a Japanese character that expresses your identity? 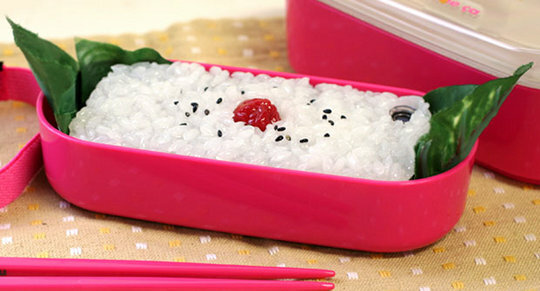 Yet another indication of Japan’s love of all things edible – how about this rice with pickled plum iPhone cover? For anyone who can’t speak Japanese, one of the best things about Japan is that restaurants and cafes often display models of their food in the window – so you can just point to what you want to eat. 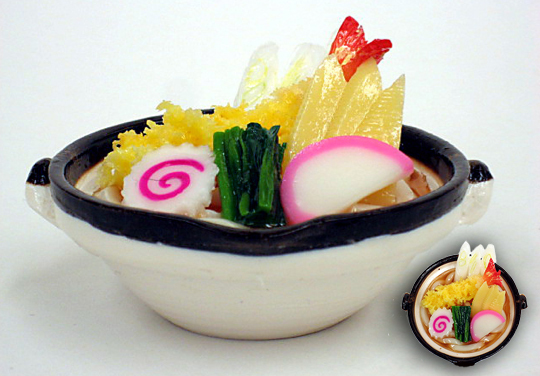 Well, if you’re a really big fan of Japanese food, why not use some of those models to decorate your home with? 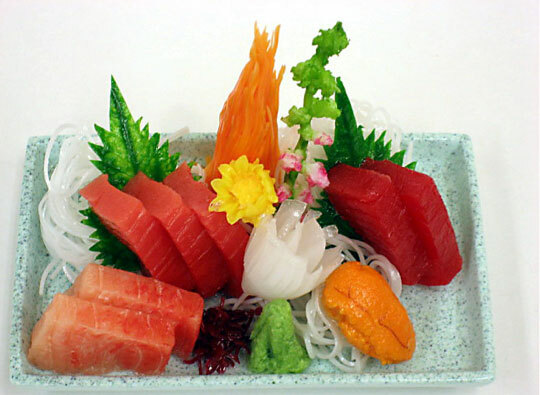 This plate of sushi looks so you real you can almost taste it. Or how about some pork ramen? Or kitsune udon, topped with tofu? 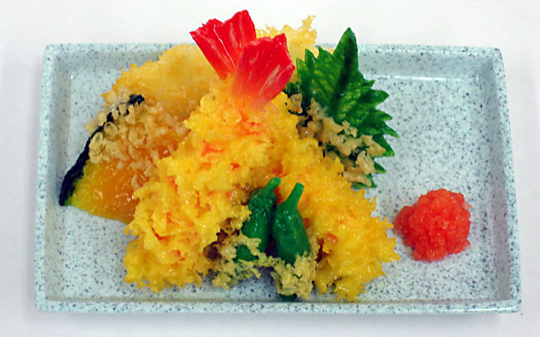 This one is tempura – battered seafood and vegetables. 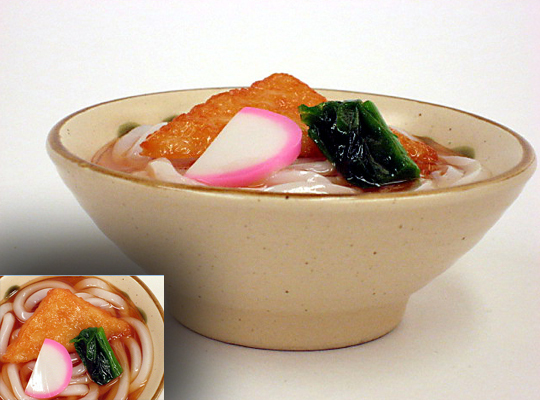 Nabeyaki udon – a kind of noodle hot-pot. 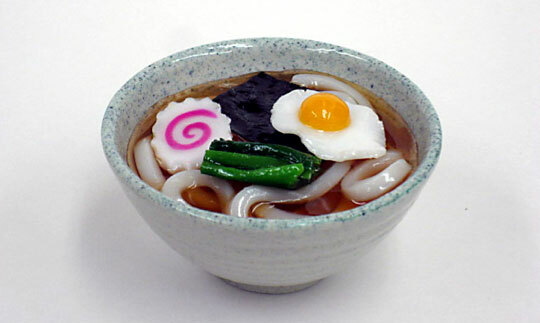 Tsukimi udon, which is topped with a raw egg which then cooks in the heat from the soup. These are all the most interesting products I could find. If you know something else that should be on this list, please let me know.